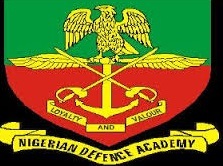 information reaching us revealed that the Nigerian Defence Academy (NDA) 69th RC Registration Deadline Extended. Have a look at the Admission Cut-Off Mark: This is to inform you that the NDA wishes to inform the general public that the sale of online application forms into Nigerian Defence Academy (NDA) for the 69 Regular Course (RC) has been extended to the end of March 2017, (31st to be precise). As we all know that Jamb is yet to begin sales for the 2017 examination forms, the extension of the NDA registration deadline was extended to enable prospective candidates purchase their JAMB 2017 application form when the sales commences and obtain their JAMB Registration Number. On this note, all NDA applicants are informed that the Nigerian Defence Academy Entrance Examination will take place on 22 April 2017 at designated centres across the country. Please visit the official NDA website to view the center you will fall in. Only candidates with JAMB 2017 Registration Number will be eligible to participate in the examination. Good news today is that The Nigerian Defence Academy (NDC) has also promised to wait patiently for the JAMB 2017 exam results to be released and published online before shortlisting candidates for the Armed Forces Selection Board (AFSB) interview in June, 2017 precisely. All applicants should be aware that only candidates that scores a minimum of one hundred and eighty (180) (in Military Science & Interdisciplinary Studies, Faculties of Arts and Social Sciences) and two hundred and ten (210) (for Faculty of Engineering only) in JAMB 2017 examination shall be offered admission into NDA by the Armed Forces Selection Board AFSB. We urge you to purchase your own Jamb form whenever it is on sale because only the Jamb 2017 Registration Number and subsequent JAMB results will be considered in the Nigerian Defence Academy (NDA) admission process for the year 2017.